The strategies used to drive traffic to an ecommerce website can differ based on the type of product you sell. 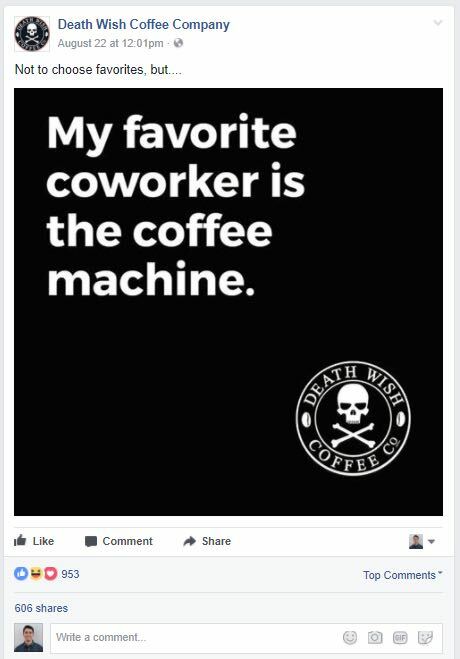 For example, you could be selling vacuum replacement parts or the world’s strongest coffee. Instead of differentiating by product type, we will cover every traffic acquisition approach for ecommerce products. We will then briefly mention which type of products each strategy works best for. As you can see over 40% of the traffic to their site is through paid search. Paid search is excellent for products (like vacuum replacement parts) that have a short buying cycle. With paid search platforms like Google AdWords, you are essentially paying to be at the top of the search engine. Even if you rank #1 organically for a particular product, paid search ads are placed above the organic results which is why paid search is so useful to ecommerce stores. For each product, you should have a list of keywords with high commercial intent to bid on. 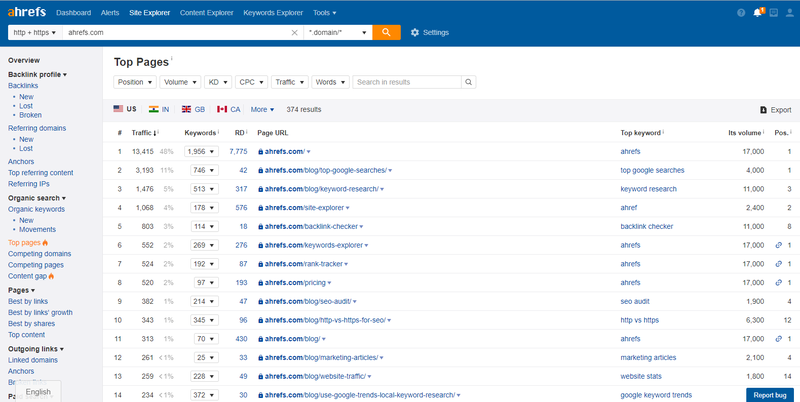 To find the right keywords, just look to see what your competitors are bidding on using Ahrefs. First, enter the URL of your competitor’s site into Ahrefs Site Explorer and then select “PPC keywords. These keywords are what your competition is bidding on. Pull out the ones that have a high commercial intent and bid on those. You can also use the Google Keyword Planner to find good keywords to bid on. Here is a guide on how to use the Google Keyword Planner. As you can see, they rely very little on paid search. Most consumers who want to buy coffee online are not looking for coffee with the highest amount of caffeine. However, if someone were, this wouldn’t be a bad search term to bid on. Coffee and specialty products are sought out by consumers who are loyal to a specific brand or want the unique characteristic of the product. Paid social (i.e. Facebook ads, Instagram ads, Pinterest ads, YouTube ads, etc.) works extremely well for specialty products like this. Ranking organically in search for product keywords should be an ecommerce stores end goal because this brings a consistent passive stream of targeted traffic to your website. These terms are typically very competitive and can take awhile to rank for (if you can even rank at all) because of sites like Amazon. When ranking your ecommerce site, you need to do all the little things right first on site. This includes having great product descriptions, images, videos, reviews, etc. Google and other search engines love when your pages have a lot of useful content. But your customers will love it even more. Check out this guide to learn all about ecommerce SEO. Once you have your on‐page SEO sorted out and optimized, you will need to build backlinks to your pages to rank. This will prove to be difficult because not many websites will want to link to product pages (which are the pages you want to rank). Another great way to drive traffic to your ecommerce website is to get other websites reviewing or talking about your product. To do this, you usually need to incentivize them with an affiliate program or pay them with product or money. People are rarely interested in talking about you unless they get their cut. 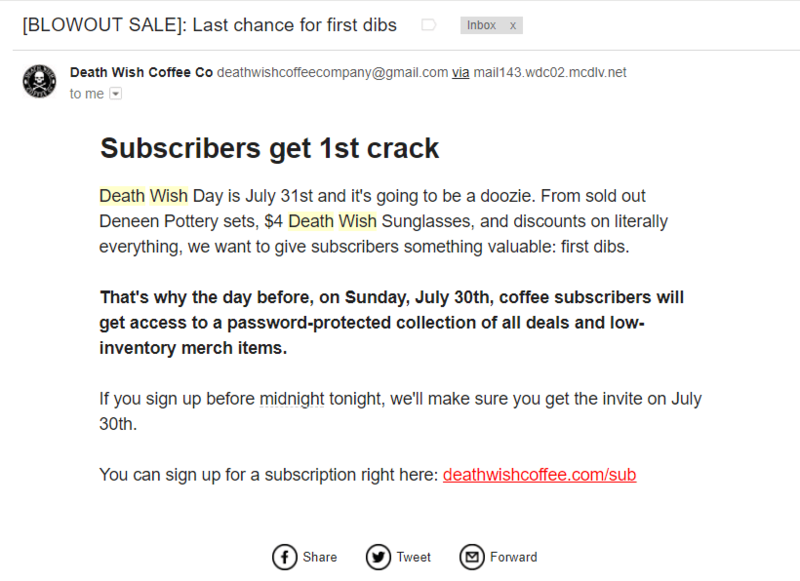 Here are two examples of websites that have written about Deathwish Coffee, likely producing referral traffic for them. Social media is another traffic acquisition avenue that can be pursued by ecommerce stores. Promoting to your social media following is great, but this type of traffic isn’t necessarily new traffic. An important distinction to make here is that the goal of social media is to get your followers to share your posts or products with their followers, not to just promote to people already aware of your brand. People rarely share products unless the product is incredibly cool. That’s why ecommerce brands use content. People eagerly share cool content. Sharing creates a ripple effect that drives new traffic to your website, ultimately increasing your reach and growing your brand. A niche blog is a website whose content is focused around a particular topic of interest (e.g. travel blogs, photography blogs, parenting blogs, etc.). They are typically monetized via affiliate links, display ads, and sometimes products and services. Depending on the niche, the traffic acquisitions methods can vary, but the main marketing channel is organic traffic and possibly social depending on your site. Blogs like Knife Informer specialize in being a thorough and comprehensive information source for the niche their website covers. In the case of Knife Informer, they specialize in reviewing knives. The majority of traffic received by a niche blog is going to be non‐branded organic; just look at the marketing mix for Knife Informer. To obtain organic search traffic, you will need to perform SEO on your website, so it ranks in the major search engines. To learn SEO, check out this guide. Knife Informer’s top keyword (regarding traffic) is “best survival knife,” which generates close to 2000 visits a month! However, they weren’t ranking for this term when the website started. So how do you drive traffic organically without ranking for these terms? As you create and rank for these low competition keywords, your backlink profile and regular readership will increase. This makes it easier to rank for more competitive terms. This low‐hanging fruit method of content creation and promotion scales very well and will result in first page rankings for many of your target keywords with enough determination. With a niche site, although your audience may share your posts (tweets, etc. ), most of their friends and followers won’t engage well because they may not be interested in the niche. 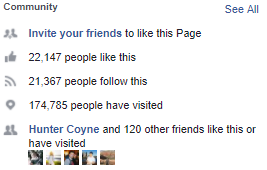 If we take a look at Knife Informer’s Facebook page, they have just over 1500 page likes, and Facebook is their largest source of social traffic. There are exceptions to this, especially if you go the route of an entertaining click bait type site. But if you were to focus on one channel for a niche blog, you would choose to spend your time doing SEO and improving your organic rankings. If you are in a niche where your audience is active on a particular social platform, it’s important to capture them as followers right away. This could be by using a lead magnet of some kind or a social locker. When someone searches for “best survival knife,” it doesn’t necessarily mean they are a knife enthusiast. It could just be a searcher who wants to buy a survival knife as a one‐time purchase. That person will probably never be back to the site unless that person needs another knife. However, if Knife Informer can capture the searcher’s email, they now have direct communication with that person. To try and hook them as a consistent reader (or at the very least bring them back to their site from time to time), they can send them interesting content and offers. One of the best ways to obtain an email is a lead magnet that provides the searcher something of value. For Knife Informer, this could be a video training on how to clean and take care of your knife or something along those lines. Search engines will reward you if you focus on one or the other and it’s also easier to grow an audience. As your audience and resources grow, you can expand into other topics or locations. Their two types of content that news sites like Texas Monthly can create to drive this organic traffic. Timeless content is content that searchers will always search for. Here’s an example created by Texas Monthly covering the subject “how big is texas.” This post ranks 2nd for “how big is Texas” and drives a lot of traffic to the Texas Monthly site. So what is so special about Bumble and OkCupid banning white supremacists that that makes it the top post in terms of traffic? If you look at the Pos. (position in Google) column, you’ll see a small blue icon that looks like a document. The icon means that the page is ranking in Google’s Top Stories. Google’s Top Stories is a section of Google News that showcases trending news stories. Once you decide to cover a topic, speed is everything. If it takes you a week to publish the post, there is a good chance the topic was already covered by other news blogs and readers won’t be interested in it anymore. Determining the right balance between speed, quality, and accuracy of information is everything for time‐dependent content. To read more about Texas Monthly, check out this article by Glen Allsopp. As a news blog grows its social following, the amount of website traffic also increases. But how do you grow your social following? The answer is to create high‐quality, viral content that people want to share. People share content they see on social media and also content they find through other methods like organic search. But how do you create viral content that accomplishes this? Capturing email is important for news blogs to keep readers coming back. Most news blogs send out daily emails containing their most current news stories. Driving traffic to your startup’s website can be tricky. Before getting into this, let’s first define a startup. Essentially any business that is newly formed could be classified as a startup, but we will use a more strict definition. Startup: a company working to solve a problem where the solution is innovative and new. This business is also newly formed (founded within the last 5 years or so). Organic search can be utilized by both types of startups to drive website traffic. Here are some tips for optimizing your landing page. To rank your landing pages, you will need to optimize them for SEO and then build links to them. Building links to landing pages isn’t an easy undertaking because landing pages are by nature a sales page. Not many websites want to link to some other site’s sales page. One of the best ways to rank your landing pages without building links directly to them is through content marketing. If you look at their top pages in Ahrefs Site Explorer, you’ll notice most of their pages are informational content assets, which are great for building links to your website. The more links you build through content assets, the stronger and more trusted your overall domain will be. This makes ranking your landing pages easier by requiring fewer links. Pro Tip: Interlink your content asset to your landing page to give it an SEO boost! The page that drives the most traffic to College Raptor is an article on the best planners for students. Although this post has some backlinks pointing to it, this isn’t the only reason it was created. For one, the content is relevant to searchers who may find the college match tool helpful. By writing a post on planners for students, the majority of people landing on the article will be students. This is exactly the demographic of people College Raptor wants to target. 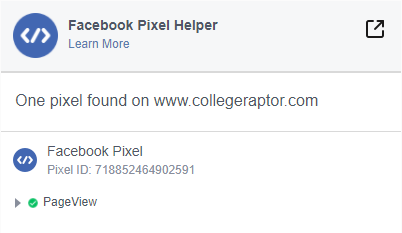 If you read the post on planners for students, it says nothing about College Raptor’s college match tool, but they do have a Facebook pixel that fires when someone views the page. They can now use retargeting to show the College Raptor college match tool to these visitors via Facebook ads. If you are wondering what to do about the students who searched for planners that are already in college, you can set up your Facebook ads to show only to visitors that are 18 or younger. Optimist wrote an interesting case study on their content marketing strategy for College Raptor. You can read more about it here. Paid search works well for startups that fall under the first category of products or services that solve a particular problem people search for and that have some decent traction. Paid social can be beneficial for both categories of products or services because it allows for a very targeted reach as long as the startup has some initial traction. A paid social platform like Facebook and YouTube have a ton of data about their users. When you advertise on these platforms, you get access to this data. Another effective marketing channel for startups is referral traffic. Here’s an article the Washington Post wrote where College Raptor in mentioned. This type of mention is great for SEO because of the backlink College Raptor received but probably won’t drive too much referral traffic. Startups should focus on obtaining referral traffic from websites that write about how their product or service helps solve a problem. For example, if you read the article by Ahrefs on how to carry out a detailed competitor analysis, you’ll notice one of the tools mentioned is Similar Web. People searching for how to conduct a competitor analysis have a problem (they don’t know how to perform a competitor analysis). This article provides them with a solution and the tools and instructions needed to accomplish this. This is great exposure for Similar Web because the article by Ahrefs shows how Similar Web can help solve a problem the searcher has. This article likely provides Similar Web with referral and branded search traffic. Social media channels can help drive traffic to a startup’s website, but one thing has to be true for this traffic strategy to be effective; the startup needs to actually be awesome. Social media for startups should be passive. This means that you shouldn’t have to actively engage with people on social media to get the word out about your startup. You should instead be putting your time and effort into creating high‐quality, viral content that showcases your product or service. If your product or service is cool enough, it will spread without you having to do much promoting. When you look at the marketing mix for software as a service companies that are well established, the majority of their traffic is going to be direct traffic. For example, here’s the marketing mix for Ahrefs. The reason our traffic is overwhelmingly direct is that customers of Ahrefs are going directly to our site to use our software. This doesn’t explain how to obtain more traffic as a SAAS company but should clear up any confusion resulting from the marketing mix above. A lot of direct traffic is a result of word of mouth. When your customer’s love your product or service and talk about it on and offline, more and more people will start coming to your site. Does the software solve a problem they have? Is the software intuitive and easy to learn? Is the software within their budget? One of the best ways to growth hack your way through this learning curve and validate to the potential user that your software satisfies their concerns is through influencer and affiliate marketing. Influencer marketing is a form of marketing that utilizes the influence an individual has over an audience of potential buyers. Usually, the influencer is paid by the company that wants to advertise to the influencer’s audience. Affiliate marketing is when a company pays a commission to an external website for sales or traffic generated from the external site. Effective influencer and affiliate marketing strategies for SAAS companies usually show potential buyers how to use the SAAS companies software to solve a problem they have (whether it is known or unknown). Again, we will use the same example we used for startup referral traffic. Ahrefs wrote a blog post titled How To Carry Out A Detailed Competitor Analysis (With Only Two Tools). In the post, Similar Web’s digital market intelligence and website traffic software is one of the two tools mentioned. 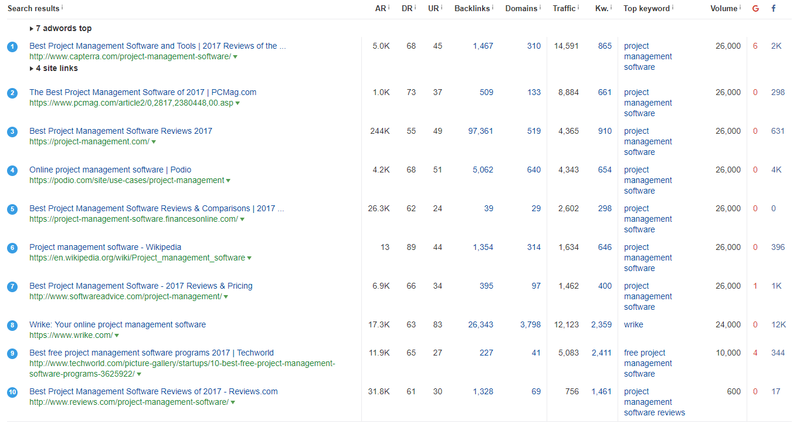 This type of post is excellent referral traffic for SAAS companies because it shows potential customers how to use the software to solve a problem they are searching for (in this case how to conduct a competitor analysis). These types of guides can be engineered through influencer marketing and affiliate programs or can occur naturally like the guide above. Regardless of how or why the content is created, the referral traffic that results from it is usually highly qualified. When first starting out, ranking for a term like “project management software” is very difficult. The domains that rank for this keyword are very authoritative and have on average 595 referring domains. Not exactly a low competition keyword, as Asana doesn’t even rank on the first page. Instead, you should focus your efforts on creating and ranking content that is lower competition but still related to the software your company sells. Using Ahrefs as the example, if you input Ahref’s URL into the Site Explorer search bar and then select “Top pages” on the left side menu bar, you’ll see the pages on Ahref’s website that receive the most traffic. 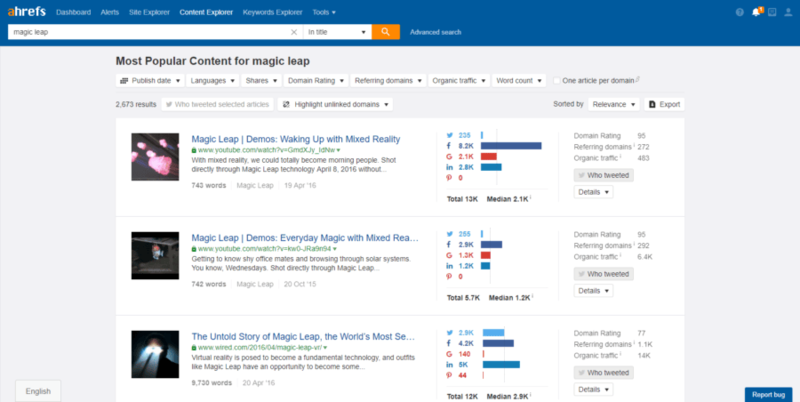 The page that receives the third most traffic is an article on how to do keyword research using Ahrefs. This article ranks 3rd on Google for the term “keyword research,” which receives an estimated 11,000 searches per month. The vast majority of people searching for “keyword research” are probably looking for an article that shows them how to actually do keyword research. This article does exactly that. The searcher has a problem they are trying to solve (they want to learn how to do keyword research). Ahrefs created a piece of content that shows searchers how to fix this problem by using their software. It is entirely possible that someone who searched for “keyword research” has never heard of Ahrefs. By reading the article, they are now aware of who Ahrefs is and also how Ahrefs’ software can help them solve a problem they have. These types of posts are ideal for SAAS companies because they build brand awareness and showcase the functionality and features of the SAAS product while helping a potential customer solve a problem. Paid traffic is another way SAAS companies can drive qualified visitors to their site. For this strategy, you bid on keywords that describe the capabilities and functionality of your software product. For example, Asana would bid on a keyword like “project management software” because they don’t rank organically for that keyword and it accurately describes what their software does. Part of the problem with paid search traffic for a SAAS company is the intense competition. 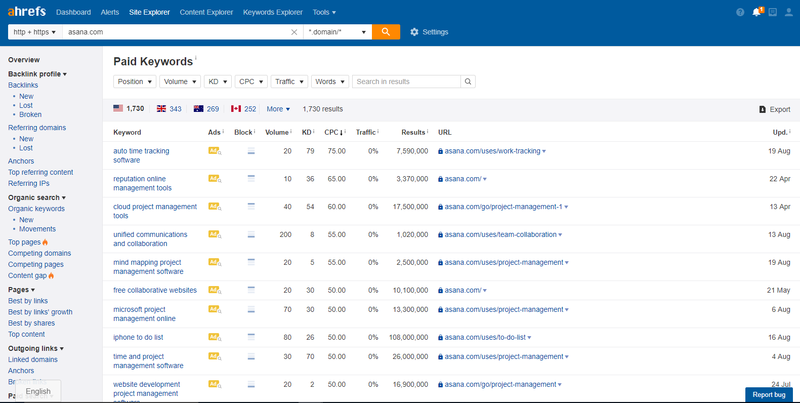 If you look at the PPC keywords Asana is bidding on in Ahrefs, you’ll see extremely high CPCs. When you are just starting out, you probably don’t have the above three requirements accomplished and you also probably don’t have the budget to spend on this type of advertising. Instead of paid search, you can invest in paid social traffic, specifically Facebook ads. There is a science and strategy to using Facebook as a profitable advertising platform. Check out this guide to learn more. Here is another resource that covers 60 SAAS Facebook Ad Hacks. This article will get you thinking down the right path when you begin building out your funnel. This category of local businesses include plumbers, roofers, cleaning services, etc. Companies that fall under this category will use organic and paid search as their primary sources of traffic, but can also utilize traditional local advertising. Ranking organically should be the ultimate goal for a traditional local business. If someone needs a cleaning service, they are going to go to Google and search for “cleaning service near me” or something along those lines. Here is the marketing mix for a Chicago cleaning service called Access Maids. As you can see, the majority of traffic to their site is from organic search. If we throw Access Maid’s URL into Ahrefs Site Explorer and then look at their top organic keywords, you can see that the majority of searches are geo‐targeted cleaning service related keywords. When someone searches for “cleaning services Chicago,” they are more than likely looking to hire a Chicago based cleaning service. This is exactly the type of traffic Access Maids wants to come to their website. To acquire this traffic, you need to optimize your site for search engines around the keywords you want to rank for using SEO. Traditional local businesses can utilize both paid search and paid social to land potential customers on their site. For companies that are just starting out, ranking organically will take some time. While you are optimizing and ranking your website for organic search, you can set up a paid search campaign to bid on the same exact keywords you are trying to rank for. You will likely just use Google Adwords for local paid search traffic, but you could also set up Yahoo and Bing ads. Paid social can be a bit trickier for traditional local businesses, but if done correctly, can be very effective. Instead of bidding on keywords, you are going to want to target people in your local area with Facebook ads. For example, Access Maids could run a campaign targeting homeowners in Chicago where they offer a 20% off coupon for a house cleaning. Referral traffic for a traditional local business can be perfect for driving qualified visitors to your site. Getting other websites in your local area to talk about you is the tricky part. This requires some creativity. A local cleaning business isn’t something most websites are going to want to talk about unless you can find a way to make yourself interesting. For example, you could form a cause marketing agreement with a local charity where you donate a portion of your revenues to them. This creates a story around your business and makes your pitch to other websites and local press more attractive, making them more likely to cover you. Online marketing techniques are typically more effective than traditional offline methods, but that’s not to say traditional advertising is dead. Direct mail is a marketing strategy that can complement a local businesses online efforts. For example, Access Maids could purchase a third party mailing list and then send the list house cleaning coupons. Specialty local businesses include bars, restaurants, wine and paint places, etc. that have unique qualities. For example, El Hefe is a bar and restaurant with locations in Arizona and Illinois. However, they aren’t your typical Mexican food restaurant. You can think of them like a hip Mexican food restaurant mixed with a Las Vegas nightclub. Here is El Hefe’s marketing mix. Specialty local business can’t rely on the same type of organic traffic as a traditional local business does. Sure, El Hefe could try to rank for “Mexican food Scottsdale,” but this doesn’t accurately represent why people come to their business. They may have great Mexican food, but the majority of people are there for the atmosphere. Instead of targeting buyer keywords like “Mexican food,” El Hefe could start creating top of funnel content targeting locally relevant keywords. For example, in the Nifty Guide To Local Content Strategy and Marketing, Mike Ramsey talks about Airbnb’s local content strategy. Airbnb creates neighborhood guides in popular travel destinations. These guides include posts on things to do in the select cities covering things like the food scene, nightlife, sightseeing, and parks and nature. Using this strategy, El Hefe could start publishing content relevant to their locations. For their Scottsdale, Arizona location, maybe they want to create a post titled “Things To Do In Scottsdale During Spring Training” (baseball spring training is a big event that occurs in Arizona). A company like El Hefe isn’t trying to drive traffic to their site through social media, but it is worth mentioning that social media is the main marketing channel they utilize. Instead of trying to acquire traffic from social media to their website, they use social media as a direct way of communicating with their target audience. If you look at El Hefe’s Facebook following for their Scottsdale location, they have over 22,000 likes. The same strategies for acquiring referral traffic to a traditional local business apply to specialty local businesses. The only real difference is a specialty business is usually already interesting by nature. It won’t take any extra effort on their part to get local websites to talk about them, as long as they take the time to pitch the site. Referral traffic can also be acquired through business directories (e.g. Yellow Pages, Yelp, etc.). Here are the referral traffic stats for El Hefe. As you can see, they get a decent amount of traffic through Yelp. The following post is good for learning to optimize your profile on these business directories. The goal of a portfolio website is to inform visitors of your brand and showcase your work. A portfolio site could belong to an individual or a company, but regardless, it should be visually appealing and highlight what you do. For this section, we are considering a portfolio website to be a small website that doesn’t engage in any content marketing. Although sites like Chase Jarvis’ may begin as a portfolio site, when they start producing niche content, they become a niche website. Driving traffic to these types of sites is a combination of niche blog and portfolio site strategies, but for the portfolio site section, we are assuming that the only content on the site is the individual or businesses portfolio. When you initially launch your portfolio site, social media traffic will be your best friend. Assuming your website looks great and represents your work well, you need to get your work out in front of people. Social media is the best way to do this. Finding the right audiences, making them aware of your work, and then getting them to talk about you is the best way to bring visitors to your site initially. Here are some resources on finding your target audience and building your brand on social media. The only organic traffic a portfolio site will receive is when people search for the individual’s or business’s name. They usually will discover you via word of mouth, on social, or in real life. Getting another website to write about you and showcase your work is another great way to bring visitors to your site. Here is the referral traffic Chase’s website gets. The first blog (blogdelfotografo.com) is a large photography blog that gets over 300k visits a month. This article on Blog Del Fotografo features Chase Jarvis and is a good example of a post that is bringing his website referral traffic. Referral traffic can occur naturally, or you can engineer it with influencer marketing. Paying for traffic can also work in getting visitors to come to your portfolio site if you have the budget. Bidding on specific keywords with the right intent via paid search can work, but paid social is more common for a portfolio site. For example, let’s say you are a photographer who lives in Phoenix and are looking to get some more clients. Before anyone hires a photographer, they usually want to see the photographer’s portfolio. This is a great opportunity to use Facebook ads to take potential clients in Phoenix to your website and showcase your work. 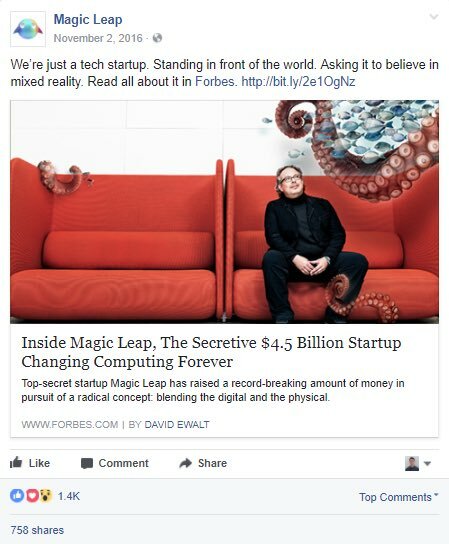 Check out this article to learn some specific strategies for FaceBook ads that photographers can use. Depending on the type of portfolio site you have, the ad strategy will change, but the approach will stay the same. Here are some resources for learning to advertise with paid search and social. When it comes to driving new visitors to your website, the right strategy is always “it depends.” Not every method of driving traffic that was mentioned above will work for every business. This guide should have provided you a framework for what strategies to pursue depending on the type of website you have. The only real way to find out if a traffic acquisition strategy will work for you is to try it, decide what “success” would look like, and then analyze the results. Anyone claiming they have a strategy for traffic acquisition that works for every business is selling snake oil. This post was a very high‐level introduction to driving traffic to various types of websites, and unfortunately, we couldn’t dive too deep into any one topic. If you have any specific questions about driving traffic to your website, please feel free to put them in the comments below!